Our classic rose gold engagement ring is both feminine yet traditional and keeps the focus on the beautiful center stone. Hand-crafted in 18k rose gold, this engagement ring is designed with a platinum four prong head to hold the diamond of your dreams. 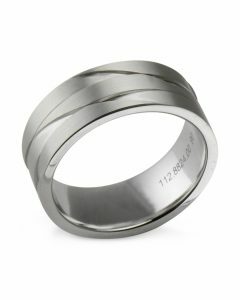 The tapered band gives it a clean and modern look giving the center diamond the importance it deserves. A classic rose gold engagement ring that will be cherished for a lifetime. 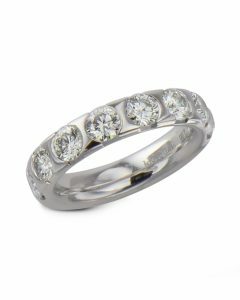 This ring design can be made in 18k white gold, yellow gold or platinum. 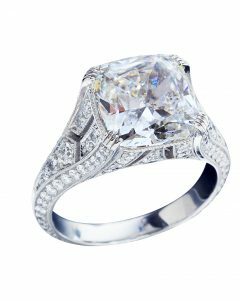 If interested in a particular size and quality diamond, different shape or colored stone, please contact us for pricing. 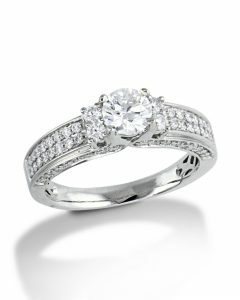 Our professional jewelers are here to help. © 2019 Turgeon Raine. All rights reserved.